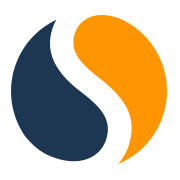 SimilarWeb is global leader in web measurement & online competitive intelligence. SimilarWeb is the pioneer of market intelligence & the standard for understanding the digital world. SimilarWeb provides granular insights about any website or app across all industries in every region enabling the world's biggest brands like Airbnb, Walmart, HSBC, eBay & adidas to create the strategies necessary to win market share. The company has raised over $112M & has nearly 400 employees across eight global offices. SimilarWeb has been named one ofINC.COM 15 ISRAELI STARTUPS TO WATCH IN 2017and one ofBUSINESS INSIDERS TOP 50ENTERPRISESTARTUPS TO BET YOUR CAREER ON. But if we want to continue helping the worlds biggest brands reimagine what is possible online, we need talented & driven individuals who are looking for the chance to make a real & tangible impact. Does this sound like you? SimilarWeb is a leading Alternative Data provider trusted by the world's top financial institutions. At SimilarWeb we bring together the industrys top talent to work together & create products that transform the way that investors make decisions. So what does a Research Analyst - Investors Solution do at SimilarWeb? Its a client-facing position & youll have the opportunity to directly advise the biggest investors globally. The Research Analyst collaborate with multiple departments at SimilarWeb to transform SimilarWebs unique data sets into alpha generating insights empowering better investment decisions. What will I bring to the team? We believe that building a great product & a great company starts with finding amazing people & helping them grow & develop professionally & personally. At SimilarWeb, youll be surrounded by the most talented professionals & youll work across departments gaining skills & driving impact.